The whole family can enjoy this unique game – it’s not a matter of muscle power, just skill and strategy and, of course, good sportsmanship. It’s easy to learn yet challenging to play and is a fun sport for all ages and abilities. As you slide the 20kg granite stone down the ice, tension builds. 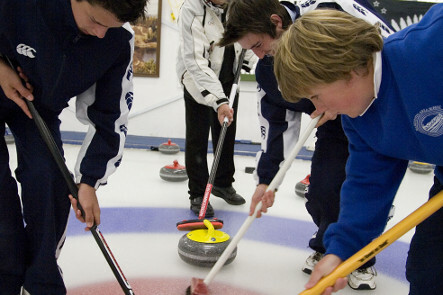 Your team mates take over, brushing the ice to help it reach its target. Will it make it or will your opponents sweep it into oblivion? Curling is the only game in the world where the person who makes the delivery isn’t the person who decides on the result. Curling is a fiercely competitive game but also one of the friendliest and its traditions and etiquette are part of the folklore of Central Otago. 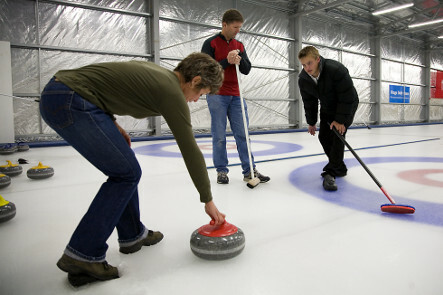 Naseby is the country’s curling capital with the Southern Hemisphere’s first international and Olympic standard indoor curling rink. It’s also home to members of the New Zealand Olympic curling team. Join in and ‘Have a Go’, whether you are a first time player or an old hand. 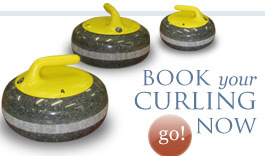 Everyone’s welcome at Maniototo Curling International Inc. The cost per game is $35 per adult.